The 22nd annual Carnaval was packed with exciting performances celebrating global diversity. Photo by Lee Choo. The multicultural fair featured a day-long schedule of performances, including Brazilian samba dancers. Photo by Lee Choo. African Soul International treated Matadors to an energetic performance at the 22nd annual Carnaval. Photo by Patricia Carrillo. One of the many Carnaval fair tables offered Matadors their names written in traditional Japanese calligraphy. Photo by Lee Choo. 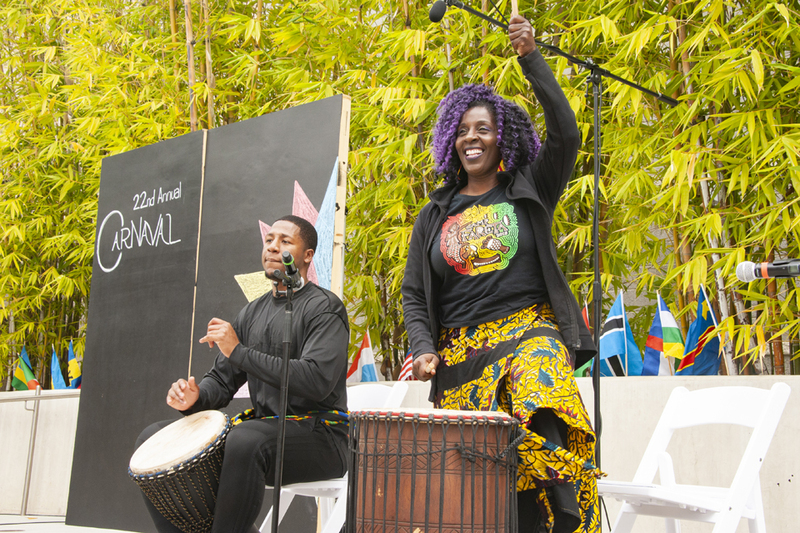 The 22nd annual Carnaval brought an exciting celebration of global diversity to campus. Photo by Lee Choo. 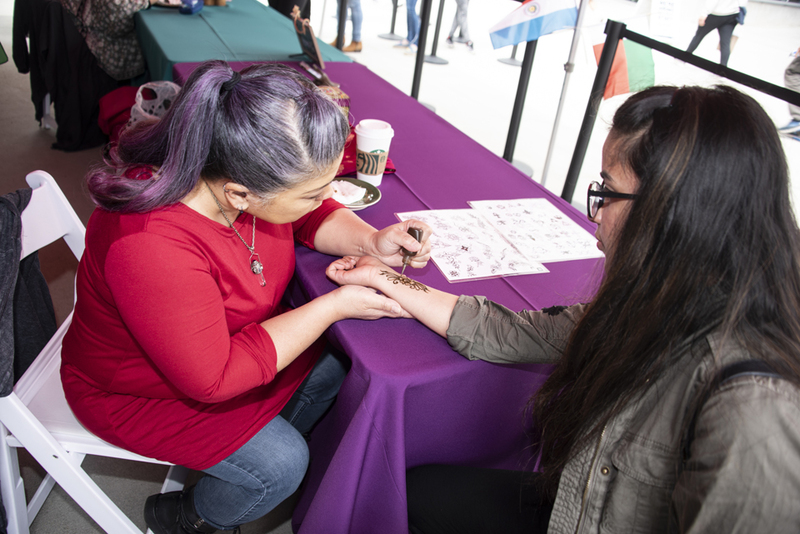 Carnaval attendees' design of choice came to life with the help of henna tattoo artists. Photo by Lee Choo. 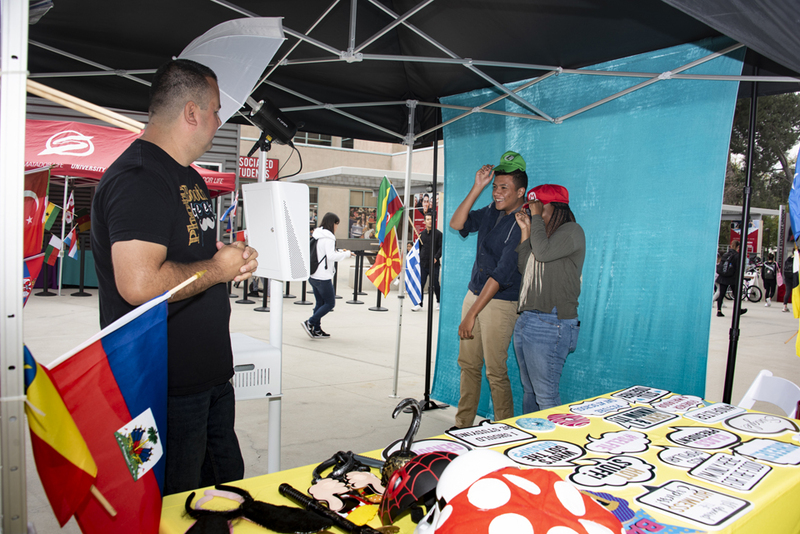 The Carnaval fair celebrated global diversity and offered attendees the chance to explore a variety of international culture. Photo by Lee Choo. 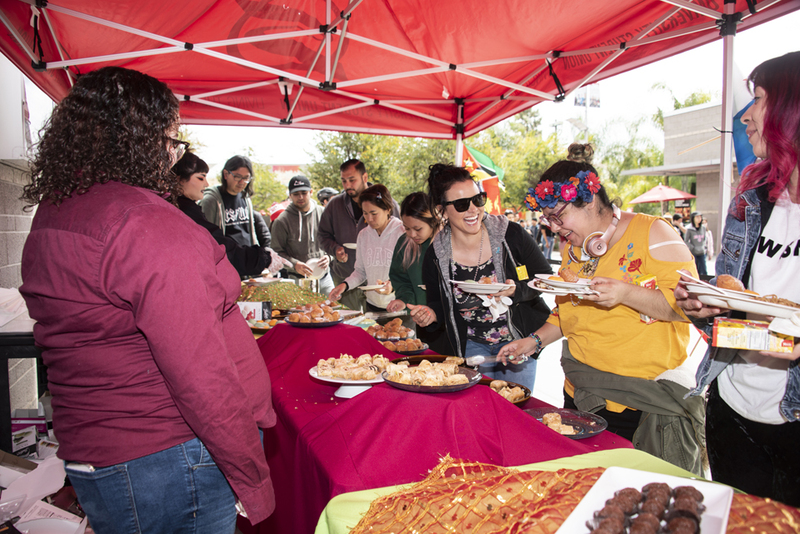 The multicultural fair featured a dessert table with tastes from around the world, including baklava, mochi balls, ponchiks and brigadeiros. Photo by Lee Choo. 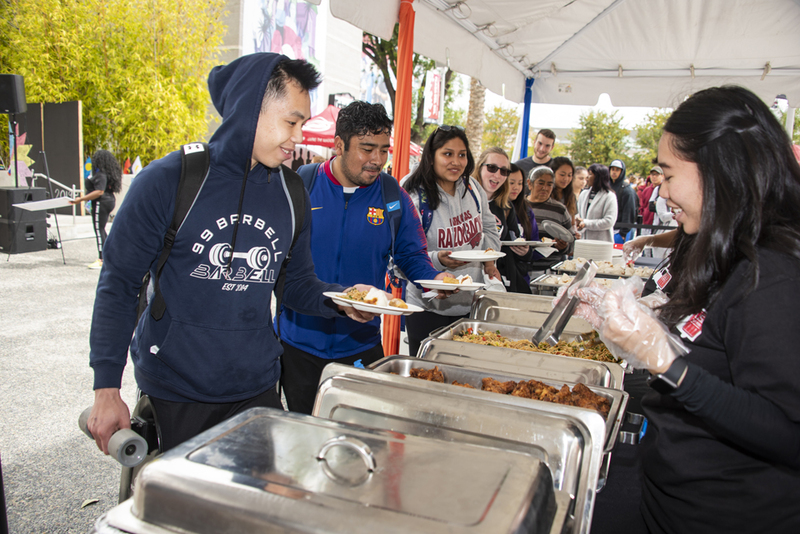 Carnaval attendees got a taste of international cuisine with foods from all over the world. Photo by Lee Choo. 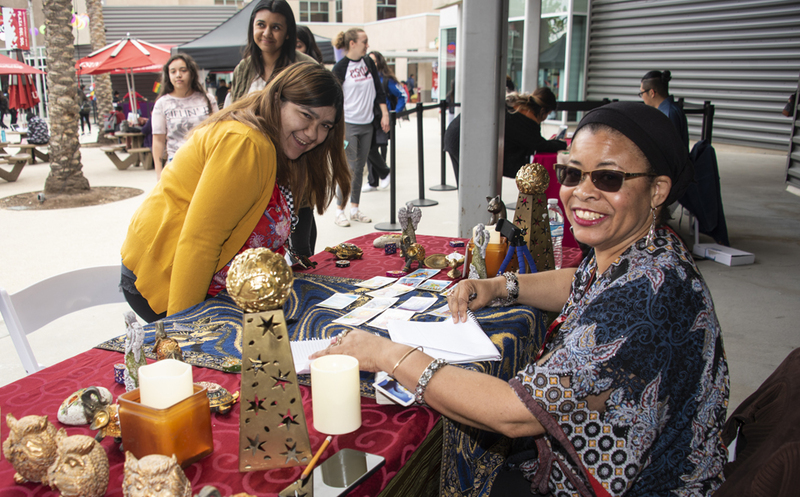 The 22nd annual Carnaval brought an exciting celebration of global diversity to California State University, Northridge’s University Student Union. 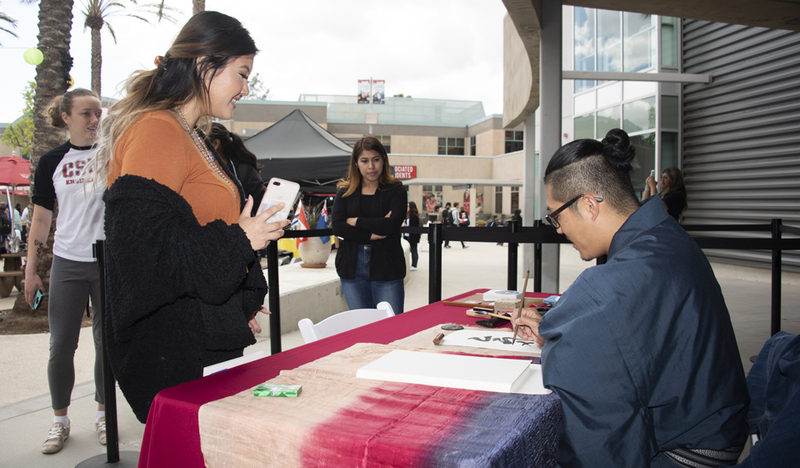 The annual event, organized by the University Student Union, invited Matadors to explore a variety of international culture through a multicultural fair filled with exciting performances, crafts and delicious food from all over the world. The fair featured a day-long schedule of performances featuring Brazilian samba dancers, Irish dancers, exotic animals, and more.